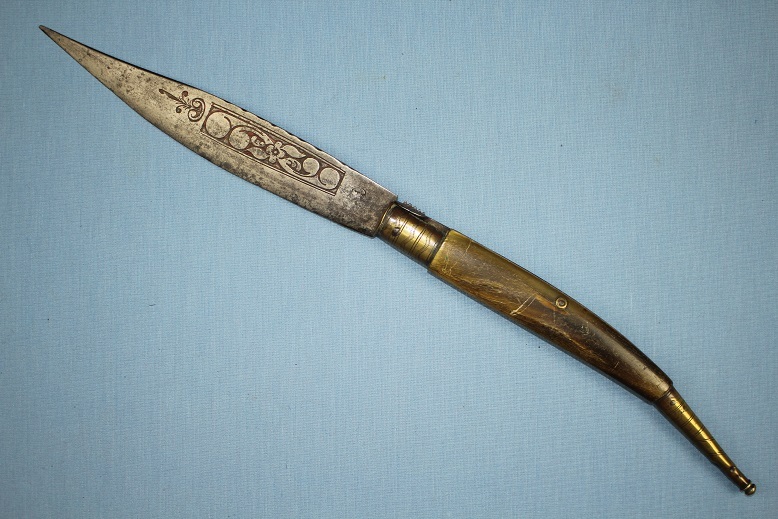 This Navaja, likely from Albacete Spain, measures 43,5cms open, 23.5cms closed and has a blade length of 20cms. 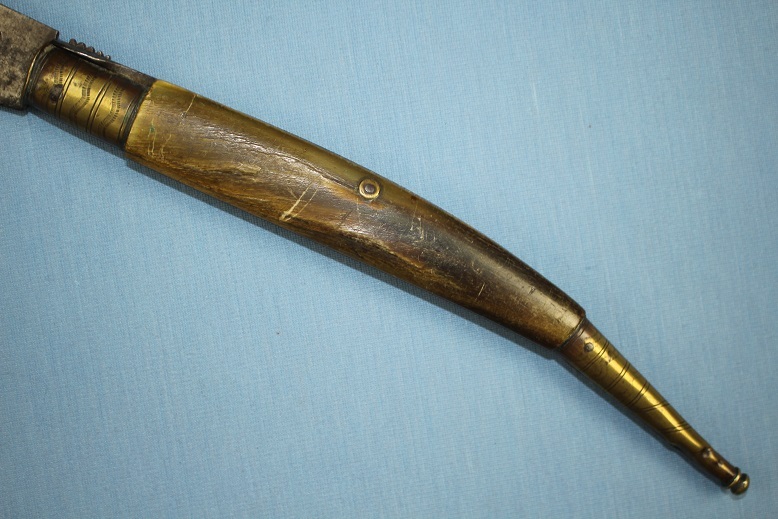 The grip is blonde horn capped in traditional engraved brass end caps. 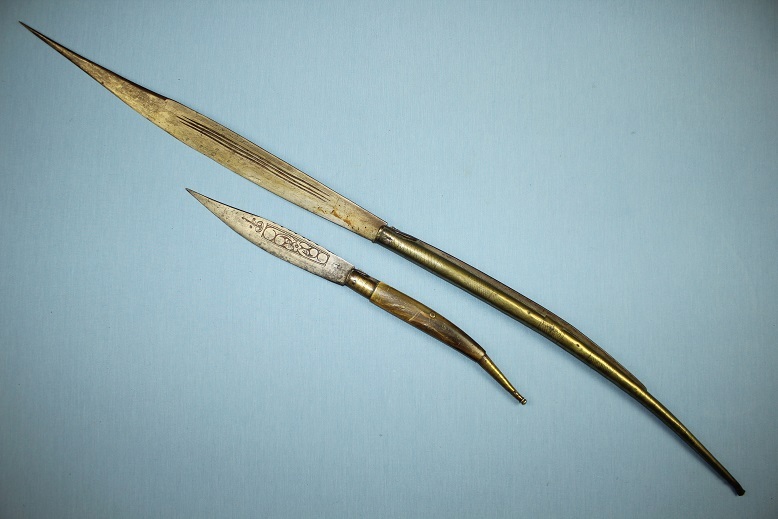 The blade is of a fine form with a dropped point and re-curved tip. 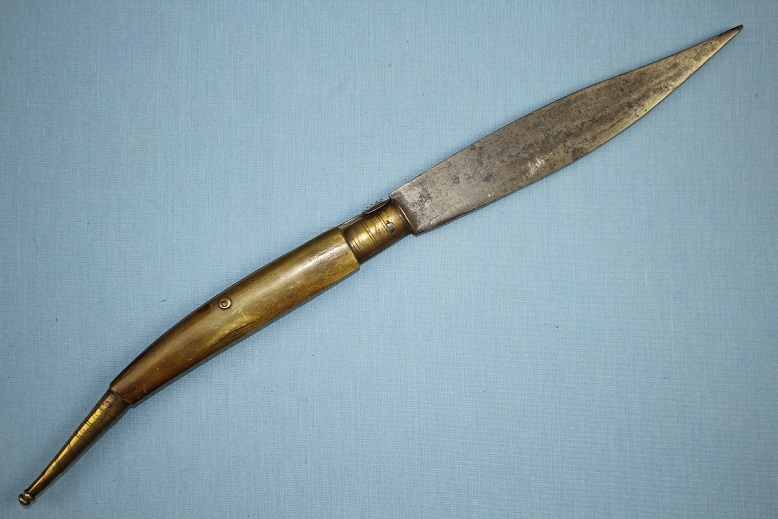 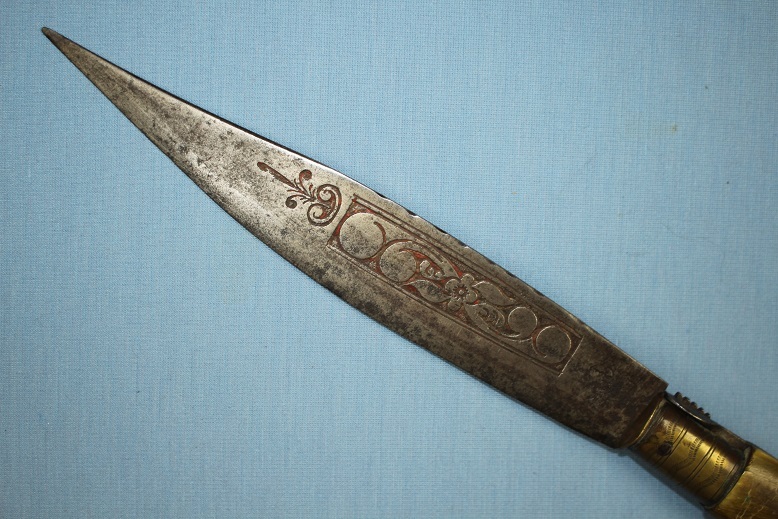 Its spine is file finished and the left face of the blade displays deep floral engraving and what appears to be a marker's mark in the forte. 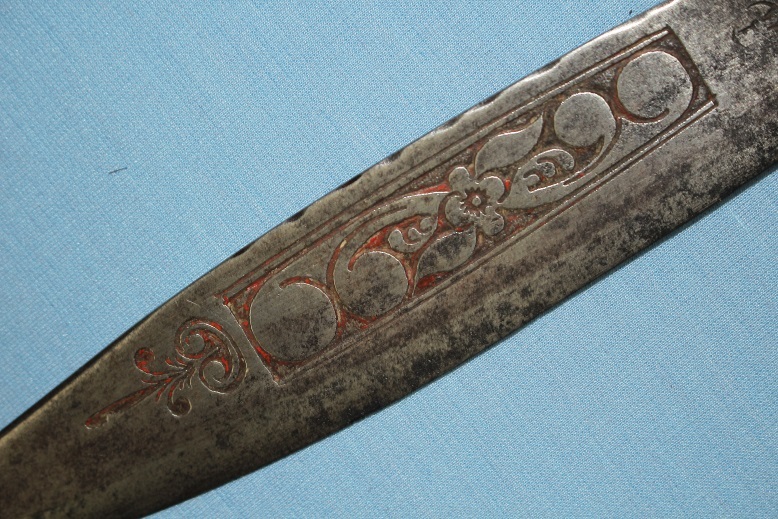 The floral relief shows remnants of a red enamel back ground. 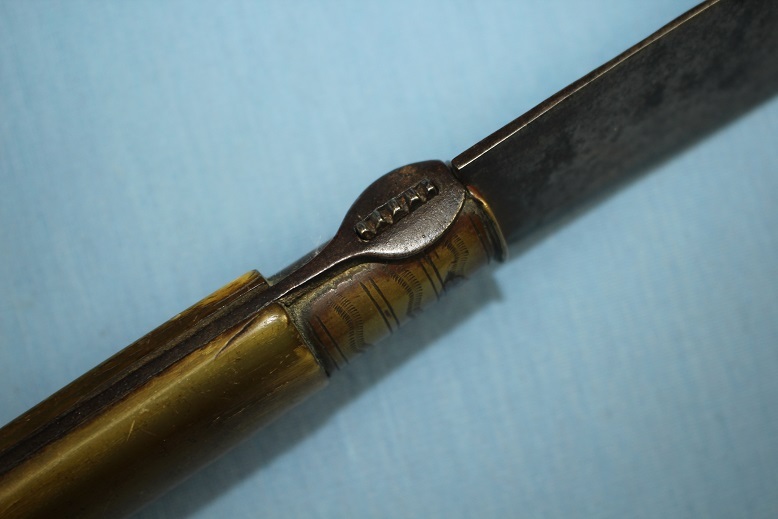 The back spring is very strong, although there is a very small amount of movement within.